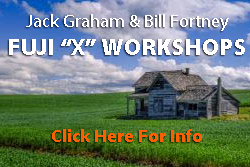 I’ll be one of 3 FUJIFILM “X”Photographers speaking ( along with my partner in crime and dear friend Bill Fortney.. and one more Fujifilm “X” Photographer) on Thursday night in Seattle at a VIP, invitation only event at AXIS in Pioneer Square. I’m honored to be asked. On Friday Afternoon we’ll be at Glazers Camera (Seattle) and Kenmore Camera in Kenmore)– I’ll be at Kenmore) from 1-5 talking about the X-T2 and other Fujifilm products and demonstrating some of the new features. If you are in Seattle on Friday and can come by why not join us for a sneak peek ! “Using the Acros” film setting!